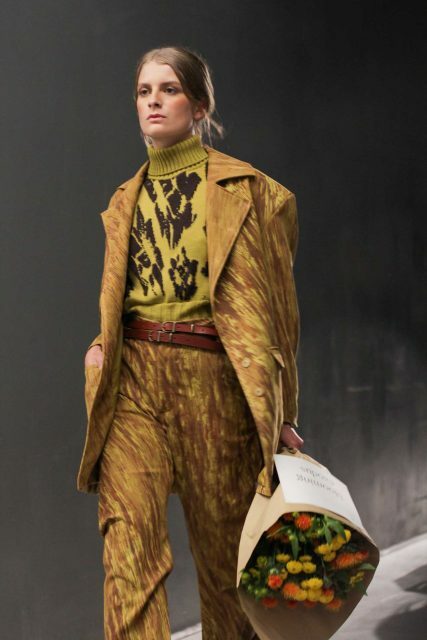 Vladimir Karaleev is, without a doubt, among Berlin fashion’s finest. Modest as he is, Vladimir stated he would never wear pieces of his own collection. “I like the stuff we make, but I don’t feel comfortable showing off my own work. I’m not designing for myself, I try to design something for every market we sell in including Europe as well as Asia, Arabia and America.” An internationally focused creative that is building his career from Berlin grounds. 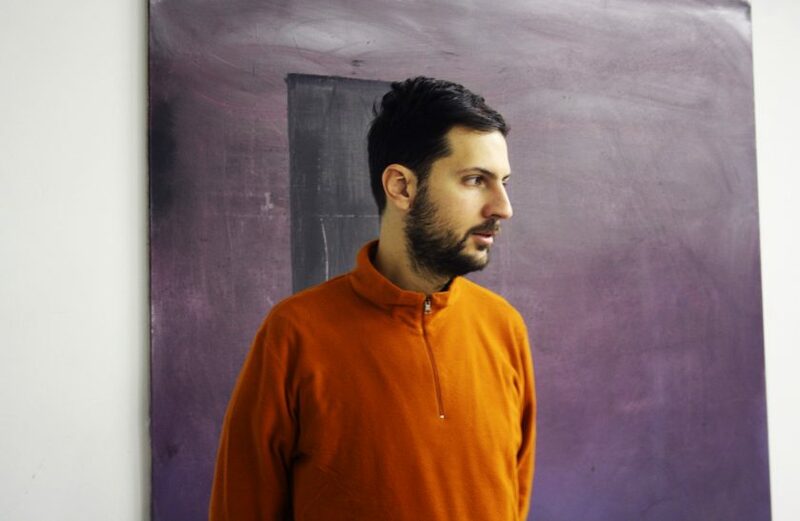 Œ dropped by Vladimir’s atelier to discover more about his work, design habits and future prospects. What does a day in the life of Vladimir Karaleev look like? That depends what time of the year it is. Normally we just start here with our small team. 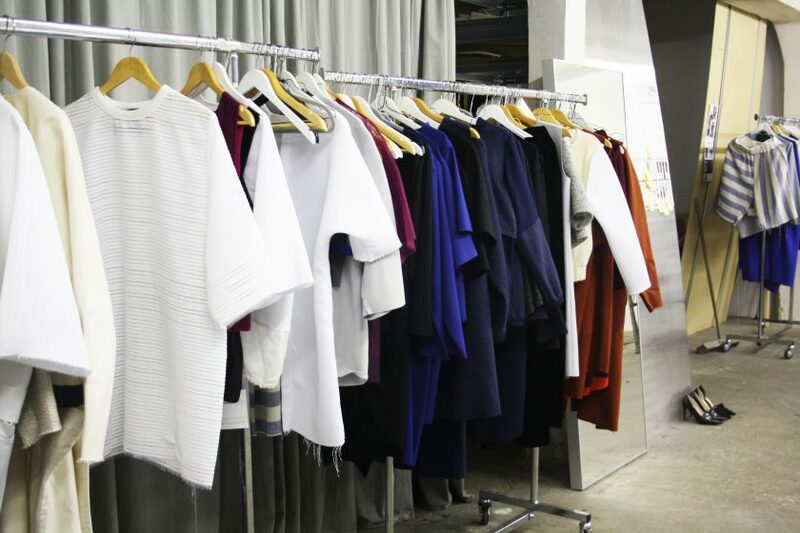 Right now we’re preparing the new Autumn / Winter 2015-2016 collection for January. Besides that we’re preparing the production for the Spring / Summer 2015 collection, ordering fabric swatches and organizing the orders of our latest collection. It’s often like an office job, doing paperwork, sending out mails and all the organization regarding that. 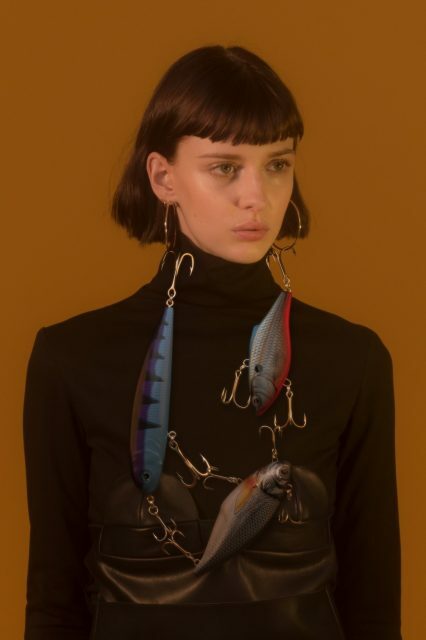 At the end of the day, when we have finished all of that, we finally start designing new pieces and experiment in order to define the new collection. You have a great fascination for contemporary art, where does this come from? Yes, it’s actually a coincidence that we’re sharing the studio with a painter and another contemporary artist who makes great sculptures. There’s such a creative atmosphere around here. All my inspiration is stuck in the process of creating; I don’t know what the collection will look like beforehand. Once we start trying out things, everything develops itself during the process. We always use a lot of experimentation in different ways. At the end we put all of those things together and come up with a collection. Having a lot of ideas is not enough, you have to create a story around these ideas. I like to compare fashion to cooking; when you have a lot of different beautiful ingredients and you put all those things together, it doesn’t mean that it will taste good. You have to know how to cook. You have to know the techniques and dare to experiment. Try to progress within the process. How do you translate art in your collections, through prints or also via construction? Our experiments always start with a basic pattern that is slightly being adjusted. It’s a very technical process actually. It’s not that I’m drawing my ideas all the time, yet I sketch to explain to my team what I want. 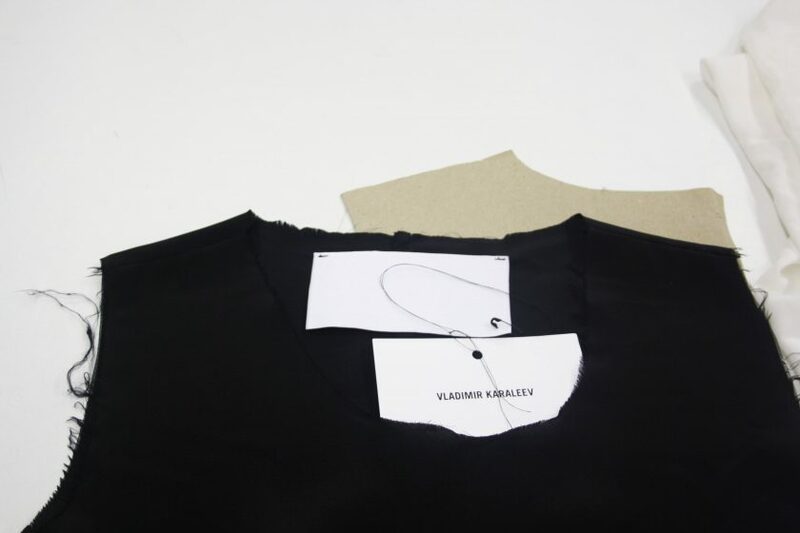 We work a lot with samples, we cut and adjust and see what happens to the garment. It’s a bit like the Japanese designers when they came to Paris, they worked with colors that weren’t aloud, cutting the fabrics and experimenting with the fits. The deconstruction has always been a big thing for me, something that I really admire. The fact that we’re doing all the samples in house gives us freedom to react and reflect on every step that is made in the process. It’s a dynamic dialog with the sample. Ordering a sample from a production agency takes a lot of time. We know what we want and we make it ourselves. Our samples are more emotional because of the intense process that we have with every single piece. We want to create a more personal piece. For example a patchwork dress that is a jacket as well as a skirt, not over designed though. I want my pieces to look and be natural. Many fashion journalists who attended your spring summer 2015 show would agree that you took a huge leap with this collection. Can you tell us more about the development of this collection? For us there’s not such a huge change, at least it doesn’t feel different. We were simply doing what we always do. Starting a new collection we always go to a fabric fair to order the fabrics for next season. You don’t know what you can expect at these places. 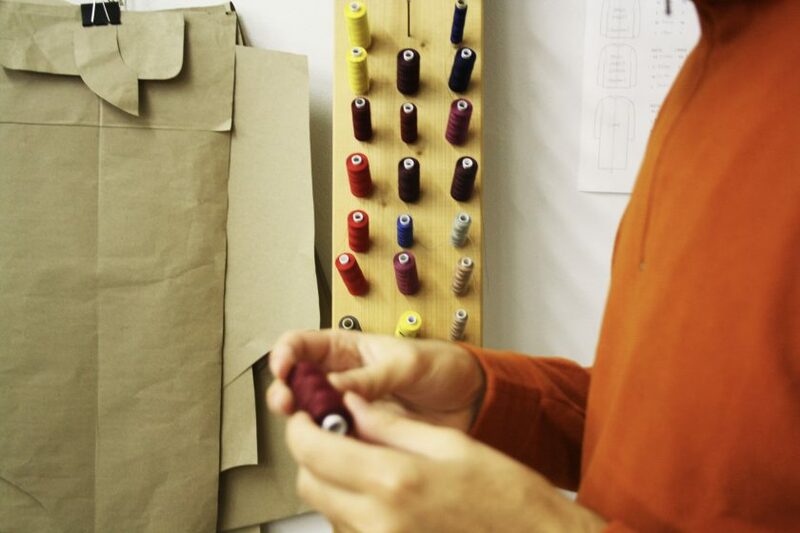 We always look for the more extraordinary fabrics and our ideas come from the fabrics that are available. I save all my ideas in the back of my head. Sometimes ideas from two years ago, since it wasn’t the right time back then, can be valuable today. All our new designs are transformations of older creations. We have micro themes of course, some references, but all our collections are growing out of something that already exists. We constantly have completely different topics and themes. I think it was very different in colors and maybe materials that were quite atypical. We have a lot of fabric and color options in the beginning that need to be sorted out. Some decisions are made for you, you can’t control everything. I like to make decisions out of the options that are offered. It’s not like we insist on a specific color or fabric beforehand. If it’s not available, we pick something else. Our main inspiration for this collection was 90’s body/surf wear with funny triangle and rectangle prints. This element we included in our collection. We developed a body suit and combined that with more formal evening wear. The idea being that you can wear this suit, simply add another layer and for example go to an art exhibition. Also the whole setting and the images were different. This time we chose to go for an unexpected element that was still on brand. It feels good when people react surprised, yet impressed. Each season we also try to work with different stylists who bring in their own and new input. In the end, the collections are not only my work but also the work of my assistants. Readers might not know this, but you are color-blind; does this restrict or enhance your design skills in any way? I don’t’ only see black and white, I just see colors differently then most people, but that is normal. Most of the time I ask my assistants about colors, but for me it’s more about liking or disliking something. If I like a color I take it. We have this yarn board with the different yarn colors we use, on top there is always a black yarn so I can see what black is and compare this one with the other colors. For me it’s okay, my disability has never been a problem for me. Somehow I think it’s a funny thing, the only aspect in this business that you have to be sure of is colors and I don’t have that. In the end everyone sees my collection in a different way, I can’t control their interpretation. Fashion is so free nowadays, what I show is just a suggestion and everybody wears fashion in his or her own way. Due to his color blindness Vladimir sees this burgundy colored yarn as black. If you were to collaborate with another brand or artist, what or who would it be? I’m open for everything. I like working within a pattern, but it would be interesting to do something you can’t do yourself and hereby exchange knowledge, increasing your own abilities. 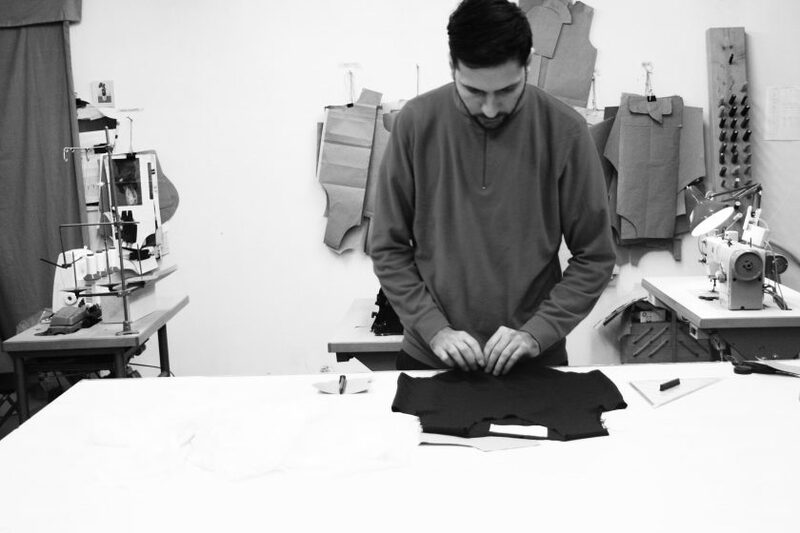 Working together with a company that uses different innovative techniques who produce garments in an innovative way, without the conventional sewing. A lot of commercial designers like Hermes that I admire, I would love to work with. You decided to base your brand in Berlin. What attracts you to the Berlin fashion scene? 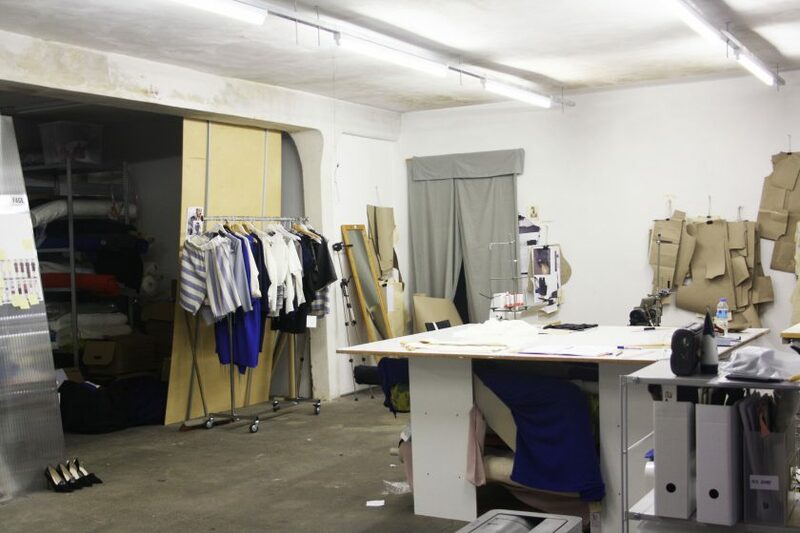 In Berlin you don’t have a fashion industry like in Paris in the way that there are not a lot traditional famous fashion houses here in Germany. Paris is very closed and conservative, not everything is possible and accepted. It is a platform for the mass and therefore it is hard to start up. 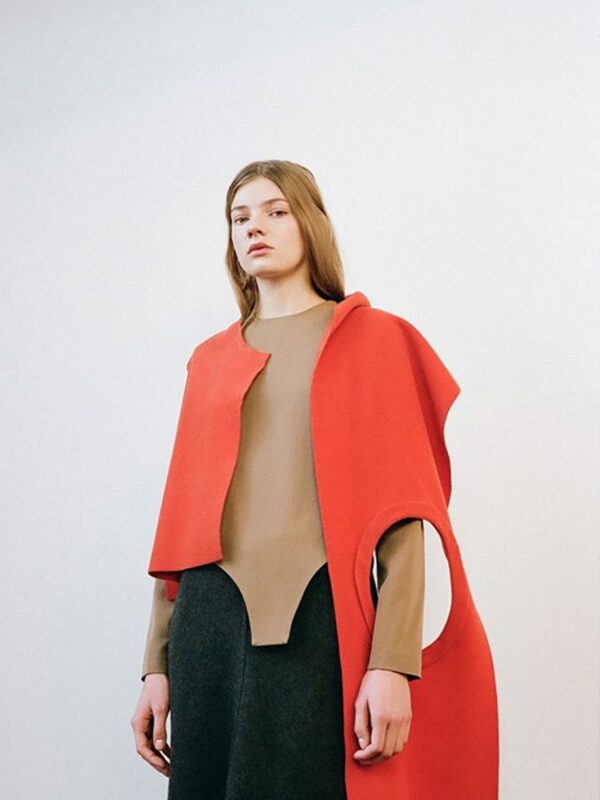 Germans have a different approach to fashion; it’s more free and experimental. That was the point for me and many others. Here there are no rules, if you want to create something you just start your own business. Berlin is not profit driven, you can express yourself more and be different. Also there is so much space here and you don’t really have to care about stuff, of course at a certain point you need somebody that gives you advice because it’s not just a hobby. It’s a really good base; we’re flying to every exhibition in Paris or New York or Asia. Of course we are Berlin-based designers but we are still international designers. We are everywhere with our collection. 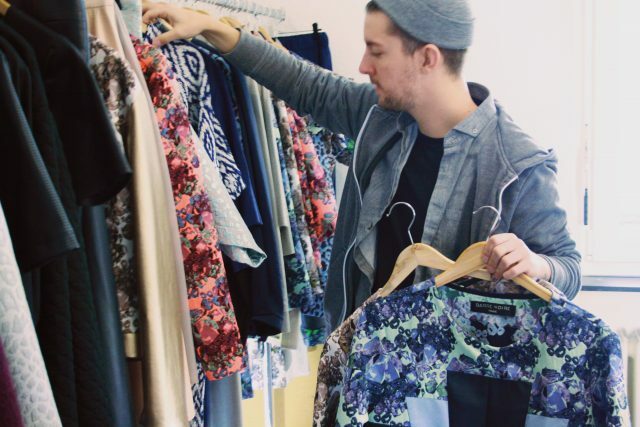 Critics question if Berlin can become a fashion capital as big as Paris or Milan. What is your opinion about this? It will take a lot of time. There are so many other competitors. It’s not only Milan or Paris but also London. In the beginning everyone was laughing at New York; people were saying ‘New York is not a fashion capital, it’s not going to happen,’ and see where it is right now. 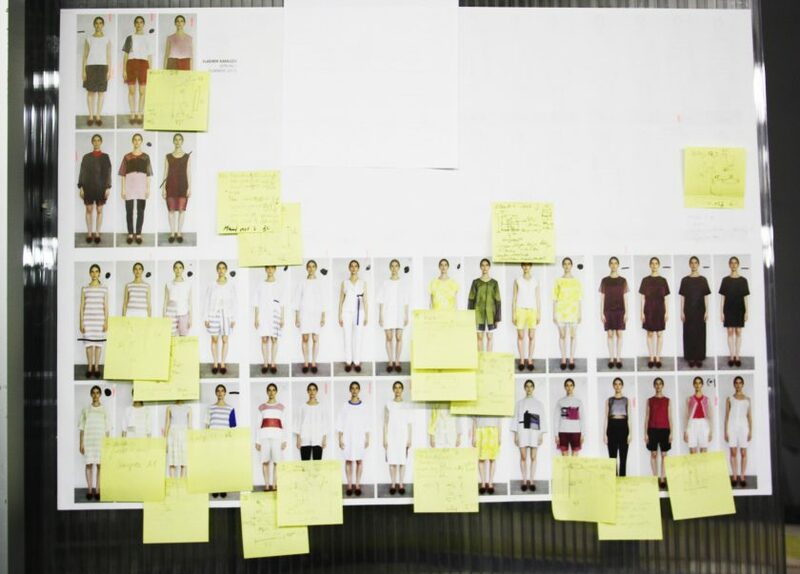 It will take a little longer to establish a city as a fashion capital. It won’t be a replacement for Paris because Berlin has it’s very own identity and it’s not comparable with the other fashion capitals. Berlin is more relaxed and more about new designers and experiments. It has a great potential though. What can we expect from Vladimir Karaleev in the future? Every season we try to develop a new product. A couple of seasons ago I started with a shoe project and maybe we can find a manufacturer who can develop shoes and accessories. We would like to develop the collection more and more complete. Also the men’s collection we try to grow bit by bit.